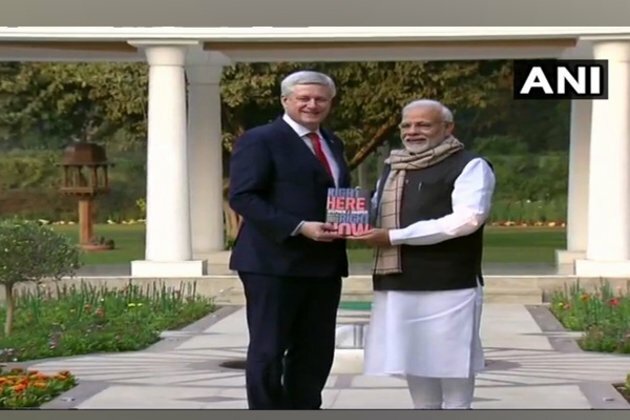 Prime Minister Narendra Modi met with former Canadian Prime Minister Stephen Harper on Tuesday on the sidelines of the Raisina Dialogue 2019. The two leaders exchanged views on developments in India-Canada relations, key global trends, and cooperation among democracies during their interaction. Prime Minister Modi also held discussions with Norwegian Prime Minister Erna Solberg before the inauguration of the Raisina Dialogue, where Solberg gave the inaugural address in the presence of Prime Minister Modi. “My discussions with PM @erna_solberg revolved around fulfilling Sustainable Development Goals, boost economic times, aspects of the ocean economy and deepening cultural ties. India and Norway look forward to cooperating on a wide range of issues, for the benefit of our citizens,” Prime Minister Modi tweeted.